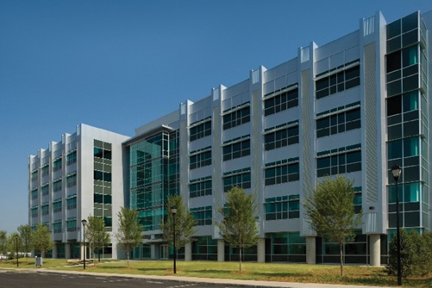 TEP is an eleven acre biotechnology park located adjacent to Georgia Tech’s North Avenue Research Area and master planned to contain 600,000 square feet of office, lab and research space created to foster new company creation out of the Tech/Emory joint biomedical research collaboration. The initial phase includes TEP One and the T3 labs; a world class vertically integrated lab facility providing pre-clinical trials and research for medical device companies and physician training. Both TEP and TEP One were recognized by the Urban Land Institute Atlanta as a Project of Excellence. TEP One is a five story, 126,000 square office/lab building uniquely designed so that 60% of the building’s HVAC capacity can accommodate the exhaust and mechanical needs associated with a vivarium, wet labs, fume hood and clean rooms; of which are located in the building. TEP One tenants include a Tech biomedical research entity, the US labs for Kemira Chemicals, Abbott (acquired Tech start-up CardioMEMS) and Vero Biotech. Gateway provided all planning, financing (consulting), program and construction management services, leasing and property management for TEP One. Gateway also assisted in the procurement of a federal EDA grant to fund infrastructure improvements.